AMD is soon going to launch their first Radeon 500 series cards but it looks the might face a short delay. According to a rumor by Mydrivers, the Radeon RX 580 and RX 570 graphics cards are allegedly delayed till 18th of April. The cards that will be affected by the short delay are the Radeon RX 580 and Radeon RX 570. Both are based on the Polaris 10 GPU with slightly higher clock speeds and similar specifications to the current Radeon RX 480 and RX 470 cards. The cards won’t bring anything new to the table in terms of overall architecture design or IPC improvements but rumors are that matured process can benefit these in the power consumption department. Along side the Polaris 10 based rebrands, AMD will also introduce rebranded Polaris 11 cards under the RX 500 series badge. There’s also talks of a smaller Polaris 12 core that may compete against the GeForce GTX 1050 but I fail to see that happening since AMD’s Polaris 11 GPU which is supposedly bigger than the Polaris 12 isn’t faster at all than the GTX 1050. The AMD Radeon RX 580 is expected to feature a slightly higher clocked Polaris 10 GPU. So this is similar to many custom variants of the Radeon RX 480 that are available in the market. The card will feature all 2304 stream processors, 144 TMUs, 32 ROPs. 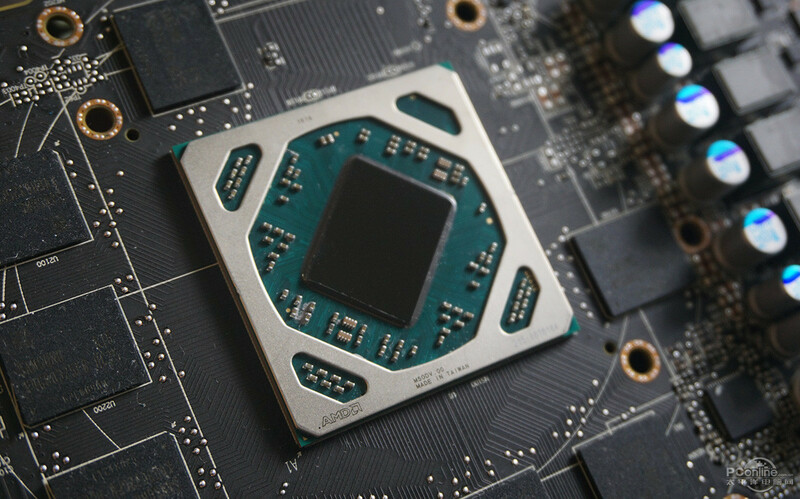 The chip itself will be clocked at 1340 MHz boost to deliver 6.17 TFLOPs of compute performance. There would be 8 GB of GDDR5 memory onboard, clocking in at 8.0 GHz along a 256-bit bus interface. The card would pump out 256 GB/s bandwidth. Expect pricing to get slightly lower than the RX 480, around $199 for the 8 GB model. 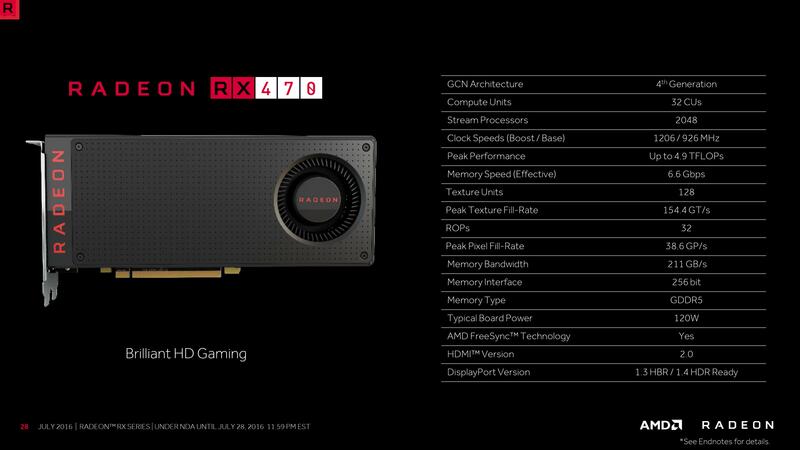 The second card to feature the Polaris 10 GPU would be the Radeon RX 570. This card would be similar to the RX 470, featuring a cut down Polaris core with 2048 Cores. The card would additionally feature a clock of 1244 MHz boost which given the core specs are correct, would yield compute output of 5.10 TFLOPs. In terms of memory, we are looking at up to 8 GB of GDDR5 which will be clocked at a higher 7.0 GHz clock to deliver 224 GB/s bandwidth. Pricing wise, this card can hit around the $149 US price range. 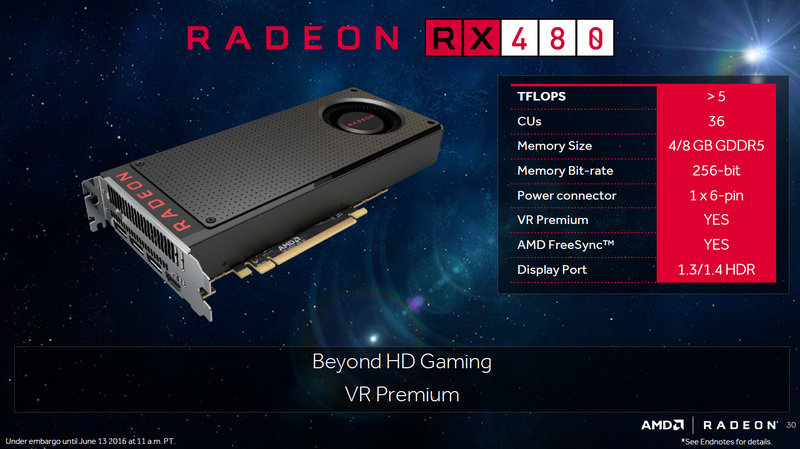 The AMD Radeon RX 560 would be the full Polaris 11 GPU. AMD launched their RX 460 with a locked core but AIBs later launched fully unlocked variants with 1024 stream processors. The Radeon RX 560 would be similar to these with a clock speed of 1287 MHz. 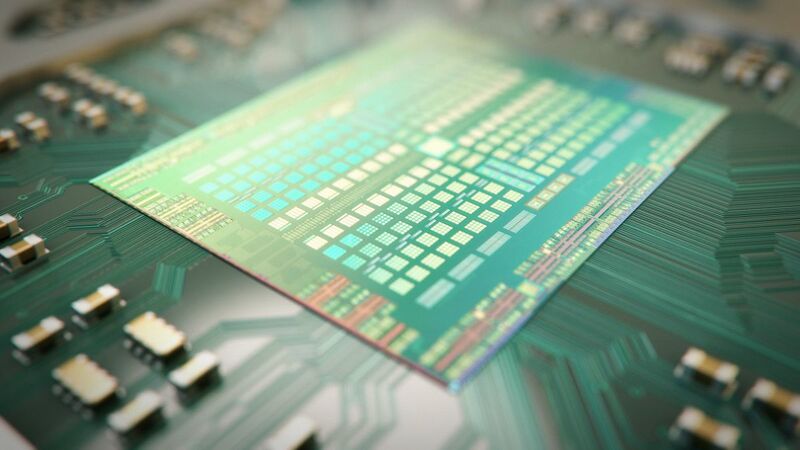 This will deliver a rated output of 2.63 TFLOPs along with 4 GB of GDDR5 memory along a 128-bit bus interface. Given AMD’s RX 460 price to value ratio at the launch period, AMD may price this under $100 US. 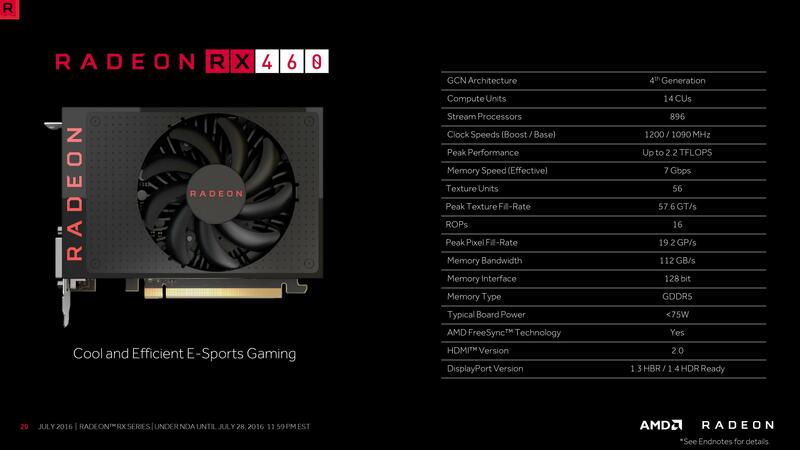 Finally, we have the Radeon RX 550 which is based on the new Polaris 12 GPU but don’t have any specs to detail. We will see these GPUs in action next month, as rumored. The Vega GPUs on the other hand will not be part of the Radeon RX 500 series family but will be simply branded as the Radeon RX Vega series as previously detailed. Expect to hear more about these cards in the upcoming weeks.